Staying at one of our Elite Holiday Homes is often an affordable way for you and your guests to stay on the Gold Coast in style. Whether you’re travelling as a family, corporate group, wedding party or friends, a stylish and modern elite property can cater for you all with ease. 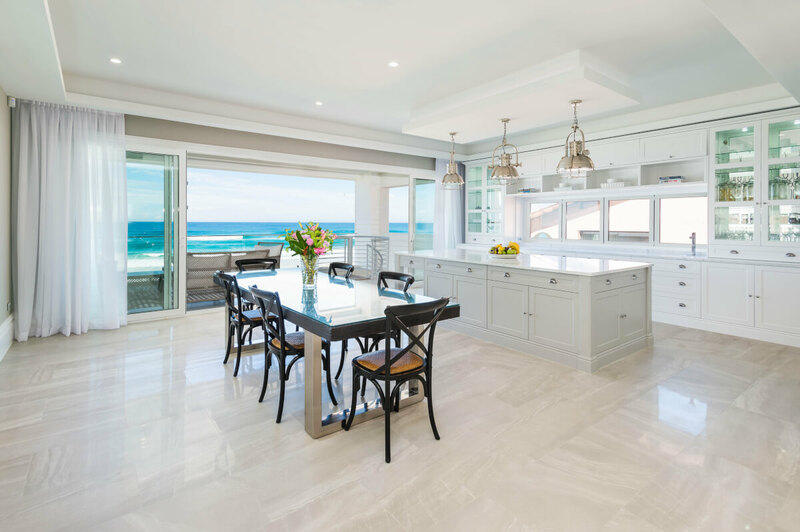 Arguably the best Gold Coast Beachfront Holiday Home, Hamptons Beachfront is the optimum choice in luxury accommodation combined with an oceanfront position. You and your guests will be in awe at the holiday home upon arrival, as it is 6 Stars designed and styled to “Hampton standards” and has unchallenged oceans views. The absolute beachfront position means that the only thing in between the home and the ocean is your private lap pool and heated spa. Families take pleasure in knowing there is multiple living areas, and entertainment for the kids to keep them happy. The family can use the Air Hockey Table and TV or you can relax in your own private Cinema and enjoy the latest movies. 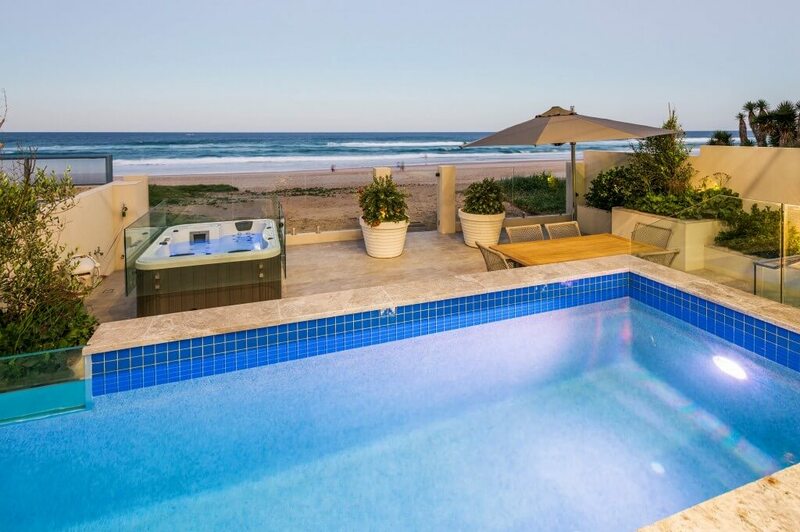 Engaged couples wanting to book a Gold Coast honeymoon this property is second to none on the Gold Coast in terms of luxury, privacy and features. 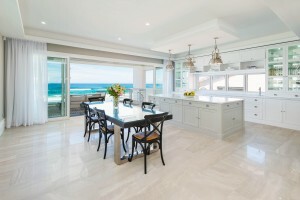 For larger groups, this opulent Gold Coast Beachfront Holiday home features 5 bedrooms and 5 bathrooms, sleeping up to 13 people. In low season this property can be yours for only $66 per person per night, making it truly affordable luxury. Make this home your own for the length of your stay by booking with us at elite. Our team can also organise concierge service, housekeeping, private chefs, tours, transfers and more at your request. 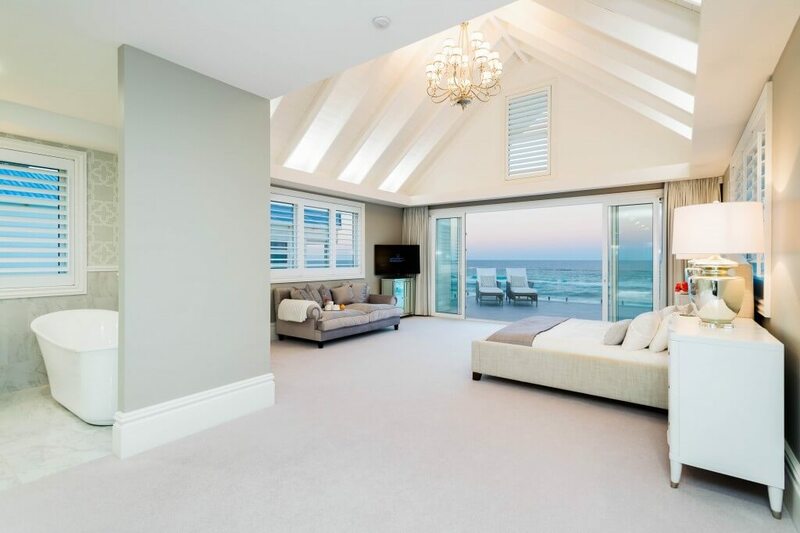 Stay at the best Gold Coast Beachfront Holiday Home, Hamptons Beachfront.